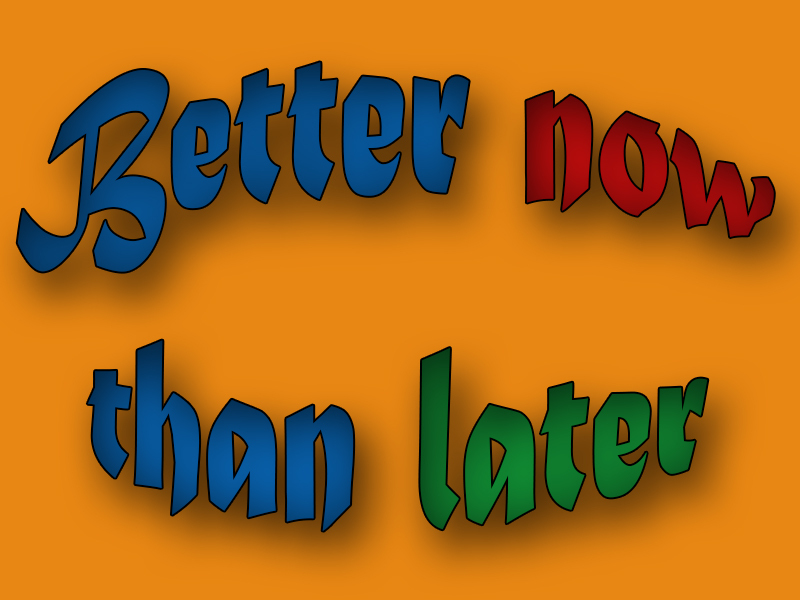 Share the post "Better Now than Later"
I was out on a pre-listing appointment this morning with a client whom I’ve known for some years. He and his wife are the most delightful people and I will be sad to see them leave the area. Mason City as a whole will feel the affects of their departure due to the amount of community service they have provided over the years. To give greatly and freely is a great accomplishment in the evolution of one’s growth and development. I’m sorry, but I can’t say that about some of the others here in the city. I don’t think they are even on the first rung of that very ladder of understanding. There are several I know who can’t seem to stop taking and taking from our community and never giving back. Seems the more they amass the more they are out looking for more. I consider it a bit pathetic as well as counter-productive to the spirit of community. My hopes are that they are not setting bad examples for others. Back to my selfless clients. In visiting about the to do’s in preparing the home for sale, we found ourselves on the subject of the age group of 25 – 35. I mentioned that there has been a great change in this age group over the past ten years. Nearly all in this group find it extremely hard to look past the out-dated cosmetics and see intrinsic value. We agreed that many of them are a bit lazy as well as ignorant when it comes to home improvements. I’ve had first hand experiences with this when our office used to manage a large number of apartments. Many didn’t know how to change filters in their furnaces or dead batteries in the smoke detectors. I can’t begin to mention how many times I’ve driven past an apartment complex or house and found the storm windows up during the winter. Not only is it a waste of money but also a waste of energy. We both agreed that we learned out of necessity as well as a willingness to explore and understand new projects. I know it’s not too late for the generation of which I speak. They must learn to create an incentive to learn and appreciate their new found knowledge. Indeed it would be beneficial for all of us if they chose to learn now rather than later.